Digital projects enable stories from the past to reach unlimited audiences. Strategic use of websites and smart phone apps can provide greater access to historical materials, expand understanding of important historical developments, enhance knowledge of places and communities, and more. 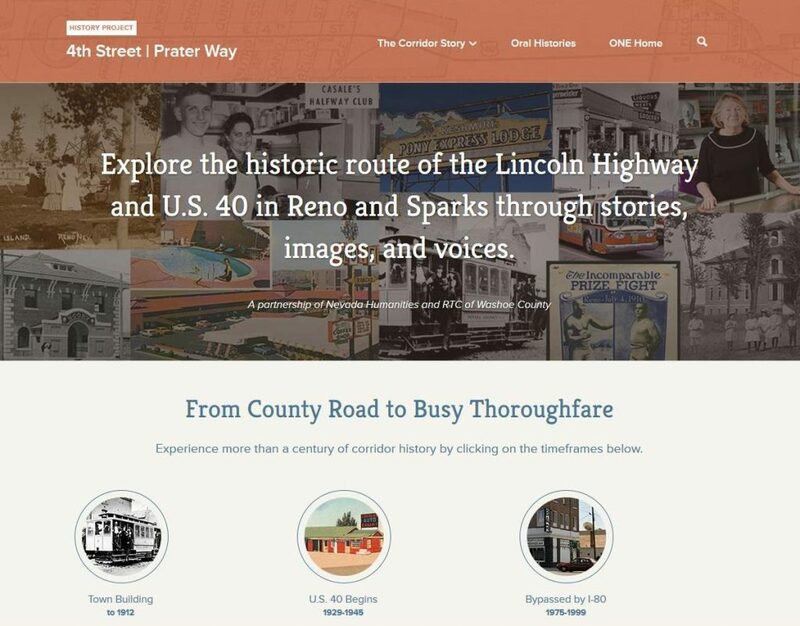 The Reno Historical smart phone app and website is a collaborative community venture based in the Special Collections Department of the University of Nevada, Reno Libraries. Available as a free app for both Android and iPhone with a corresponding website, Reno Historical utilizes the Curatescape platform, developed by the Cleveland State University’s Center for Public History & Digital Humanities. Our role: Platform selection; research, writing, & editing of historical content; usage permissions; promotion. The RTC 4th-Street Prater Way History Project is an innovative community partnership initiated by the Regional Transportation Commission of Washoe County (RTC) and culminating in a number of related public history projects intended to integrate the community’s history into future plans for the corridor and strengthen a sense of place. Our role: Collaboration in design of site layout & navigation; coordination with site designers and developers; oral histories; research and development of all text, imagery, and multimedia; use permissions. 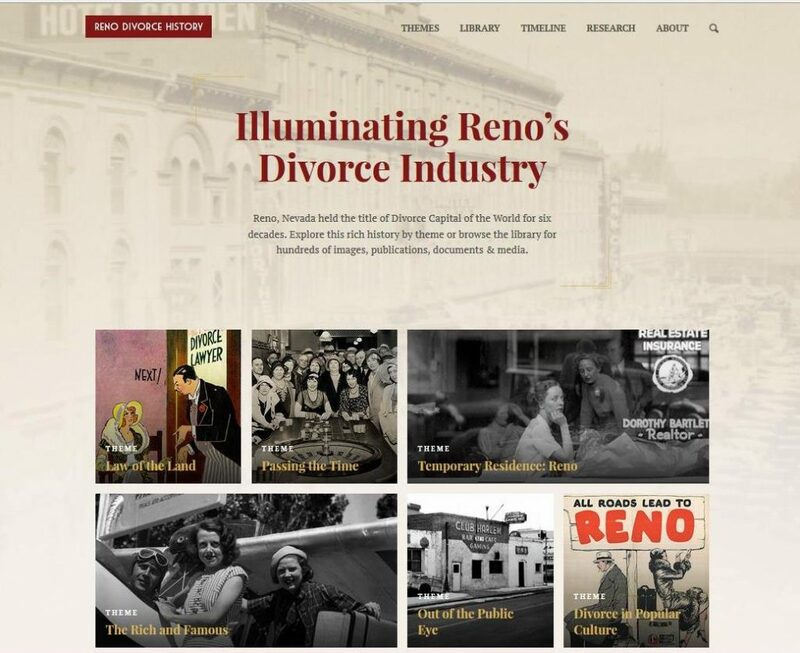 Illuminating Reno’s Divorce Industry is a project of the Special Collections Department, University of Nevada, Reno Libraries. The goal was to showcase the library’s extensive collections relating to the era (approximately 1905-1968) when Reno was known as the Divorce Capital of the World. The library digitized hundreds of materials in order to expand the reach of its collection, and its usefulness to both researchers and the general public. Our role: Selection of web developers and designers; collaboration on site scope and navigation; historical research, writing, and editing; selected oral history recording and transcription; preparation of audio content.